You can personalise your voucher with your gift message and the name of the person the voucher is for. Sorry! You cannot use an AllGifts Voucher to order another AllGifts Voucher. Please select a gift, voucher or experience from one of our partners. See full partner list in our Gift Directory. The recipient can use any of the vouchers you buy them to order products, services and gift vouchers for specific places on AllGifts.ie. He or she will receive an eVoucher, which is a digital gift voucher containing your gift message, the voucher amount and instructions on how to use the voucher on AllGifts.ie – it’s nicely designed and looks well either on email or printed out if you have a colour printer. Recipients can choose to have their order either delivered or collected at a time and date that suits them. All orders are delivered or collected directly from our Gift Partners (businesses that are members of the AllGifts.ie service). Gift Partners are automatically informed when an order is placed. There are no delivery charges for any of the services listed on AllGifts.ie, nor for any gifts that are collected. Delivery charges may apply if the recipient orders a physical item for delivery – they will be informed of the exact delivery charge by the Gift Partner. For gifts that require bookings (restaurant, hotels, activities etc), the recipient can choose to have gift vouchers for those businesses posted directly out to them free of charge so that they can book at a later date; or they can request a booking date when ordering their gift. 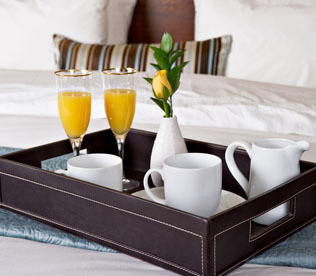 In this case, the Gift Partner will contact them directly to confirm their booking. If their booking date is not available, the Gift Partner will arrange an alternative date with the recipient. 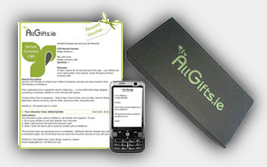 AllGifts.ie are perfect for rewarding staff, work colleagues and customers, and are great for retirement presents or just to show that you appreciate someone going that extra mile. Their also great when you just want to give someone an instant thank you – because of the huge choice and easy online ordering, AllGifts.ie eVouchers really are the perfect gift vouchers in a click! Online gift vouchers have never been so easy. Just choose the value and type of gift voucher you want. Send it instantly by email, text or printout. The recipient has the flexibility to spend your gift voucher to buy any of the 10,000 products and services on AllGifts.ie. Choose restaurant vouchers, hotel vouchers, adventure gift vouchers, activities, food and wine, kitchen and dining, home and garden, arts and crafts, tech and electrical or a generic AllGifts.ie voucher – the choice is huge! The recipient can store the online gift voucher securely in a gift account and spend it as they wish on any of the great things on AllGifts.ie We only partner with the best shops, galleries, garden centres, hotels, spas, restaurant and more, so you are always guaranteed quality....and at the best available price.....guaranteed.